This is my review of the Aspire lounge at Luton Airport. Whilst Rob got to hang out in the Qatar Airways lounge at Heathrow this week (see the HFP Instagram feed), I found myself in Luton …. To be honest, Luton is one of my least favourite airports. It looks chaotic with all the never-ending construction work going on, security seems to take forever and the selection of shops is pretty sad. The only reason I end up at Luton Airport quite a few times a year is the great flight connections to Berlin and Hamburg. 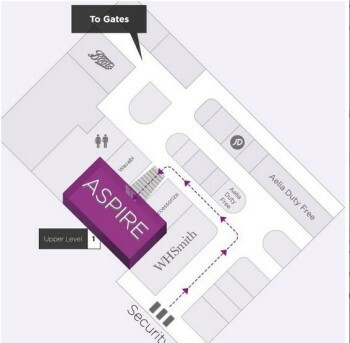 The Aspire lounge at Luton is located on the first floor of the departure area and the gates are about a 5-15 minute walk away. 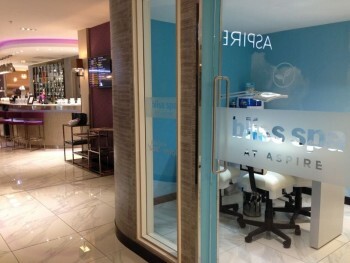 Next to the welcome desk you can find the Bliss Spa if you want to treat yourself to a 20 or 40 minute pamper before your flight. Treatments are not free but, on the upside, there was good availability. This seems a better system than the rarely available 5 minute mini-treatments that BA offers at Heathrow. You can choose to relax on a sofa, sit at a table with view over the departure area or make your way to the quiet area at the back of the lounge. 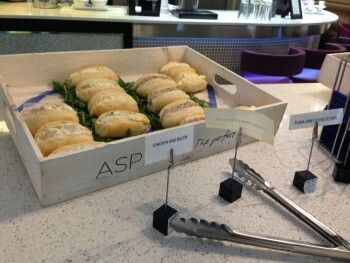 The food and drink selection in the Apire lounge is pretty good. At the bar (you can’t pour your own drinks) the bar tender will make you any mixed drink you like or serve you wine or beer (draught Heineken) for free. If you want prosecco, champagne or a cocktail you need to pay extra. 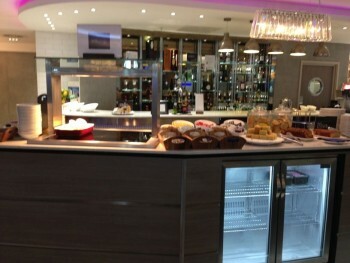 There are three coffee machines in the lounge with pretty decent coffee and fridges with soft drinks. 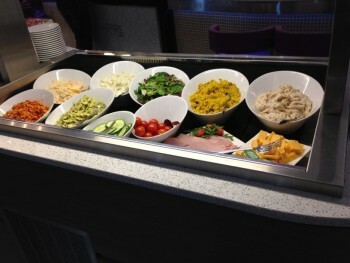 When I arrived there was a salad bar and filled bread rolls and towards lunchtime pasta and soup was added to the buffet. If you want something more ambitious, you can also order from a ‘premium menu’ with for example a cooked breakfast for £5 or a salmon dish for £10. 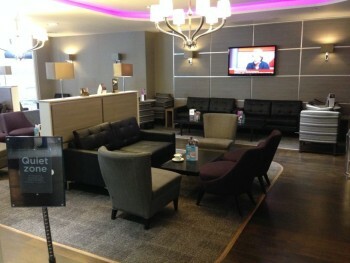 At the back of the lounge you find a quiet zone with TV where you can relax on comfortable sofas. 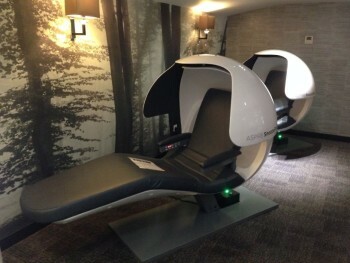 A highlight of the Aspire lounge are the Snoozepods that are located next to the quiet zone behind a glass wall. You can put your belongings in one of the complimentary lockers and then doze off for a while. Just don’t fall asleep and miss your flight …. You can find lots of European and UK plugs throughout the lounge and also USB charging slots. If you need to use a different adapter the staff will provide you with one for the duration of your stay. I got access via the LoungeBuddy app on my phone, signing up via the Head for Points $10 sign up code. This took the £20 cost via the app down to roughly £12. It only took a few clicks to order my pass once I was at the airport (you need to enter the lounge within an hour of ordering) which I showed at the welcome desk. If you book directly on the Aspire website, it will cost £22.99 for an adult and £14.99 for children under 12. The lounge is also accessible with a Priority Pass (free with American Express Platinum) or a Lounge Club card (two free passes with the ‘free for the first year’ American Express Gold). 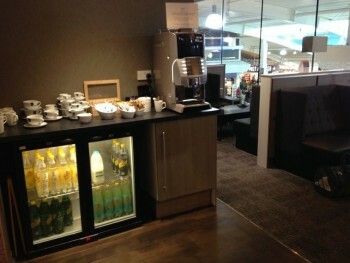 The Aspire lounge at Luton airport is a major improvement on the old Servisair lounge and makes the whole idea of flying from there (a little bit) more appealing …..
Free upgrade, free breakfast and a free Easter egg with Radisson Blu! Well, I don’t find this lounge very exciting…I have visited this place a couple times – always arriving there around 7pm. Upside – decent coffee, quiet place (there were no more then 5 visitors there on all my visits), wifi ok (speed could be better though). 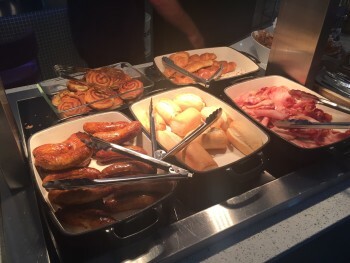 Downside – staff not very attentive, very poor food selection after 7pm (not a single sandwich available), premium food (paid burger meal) was rather disgusting…so unless you have free entry to the lounge, I would suggest to sit in a bar downstairs.. I hope the bacon rolls for breakfast have made it through the refurbishment unscathed. They were the highlight of the old lounge. This review is completely at odds with my experience last Friday night. The lounge was rammed, chaotic and some passengers were begin turned away, with Priority Pass. A La Compagnie flight was scheduled so that may explain why it was so busy. Drinks were self service, no bar staff were present. Food options looked OK to be fair, although some drink brands were not premium, and brands I had never heard of. Tasted OK though. I did mange to get a seat, but had to share a table with others, as most visitors appeared to be doing. I had a far from relaxing experience, but at least I did avoid the stag party that caused the Ryan Air flight to be diverted, I spotted them on my way to the gate. I used a free Lounge Club that came with my AMEX Gold, so at least I didn’t pay on this occasion. I was headed to an easyJet flight. I also agree that Luton is a horrible Airport, I fail to see were the alleged millions are being spent. Well it looks a darn sight better than the Servis lounge used to! La Compagnie is a problem. Anika flew at 1.30 IIRC so before the first LaC guest arrived. Great review Anika. Great review. Makes putting Luton back on my possible lists of airports. The main deterrent is having to fight to get that bus from the rail station. My opinion of this lounge has been the complete opposite. I visited the Thursday, Christmas Eve last year. No bartender… I was asked to make my drinks myself (on the upside, I poured heavy shots without having to look embarrassed). Food selection wasn’t great. LoungeBuddy app didn’t work for me (gave me some payment related error in spite of adding 3 different cards to the app), so I paid £26 at the welcome desk! Lockers are a fantastic idea – especially as i mostly do solo travel. I have not seen these in other lounges. OT but lounge related. We have our first ever business class flight to Madrid on Sunday. 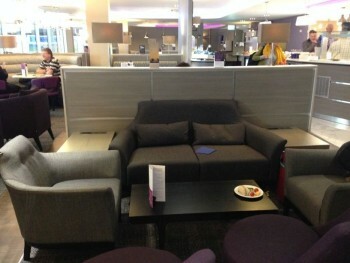 We have a Lounge Club pass courestey of Amex Gold and wanted to try and use it in Madrid on the way home. We are coming back from Terminal 4. The Lounge in T4 is Schengen. Is it possible to use the pass anywhere else in the airport once you go through security? Are all the other terminals totally separate? Probably won’t be able to use it! If you are on a business class flight doesn’t it include lounge access? Should be no need to use your lounge pass then. Didn’t realise the ticket would give us access so thanks for that – I’m a total novice when it comes to knowing what lounges we can access and what we can’t – never done it before! Interesting news about LCY airport sale. Analysts say that to make returns to investors it needs either double its passenger turnover (which is hard to imagine as there are literally no seats in departure lounges in the evening) or charge higher fees (BA already has higher prices to depart from LCY than LHR for the same destinations).